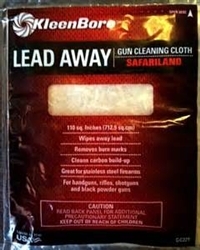 This chemically treated cloth is ideal for removing tough lead and carbon build-up. Excellent for removing burn rings on cylinders and on stainless steel. Over 100 square inch cloth. Caution: excessive rubbing may remove bluing.